I usually start my day with hot tea no matter what the season. Thermometer reading single digits? Hot tea. A 90 degree summer day? Hot tea. But when a warm afternoon hits, I typically want something cold. Most of the time I’ll just throw leftover tea from the morning over ice (I know, glamorous). But sometimes I’m also craving chocolate. And by sometimes, I mean most of the time. 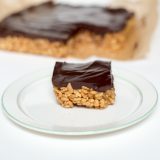 You know that after-lunch chocolate craving? Does that strike anyone else on a regular basis? 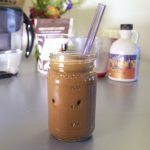 Instead of hitting up a dark chocolate bar post-lunch (I save that for post-dinner), I make this cold cocoa recipe. 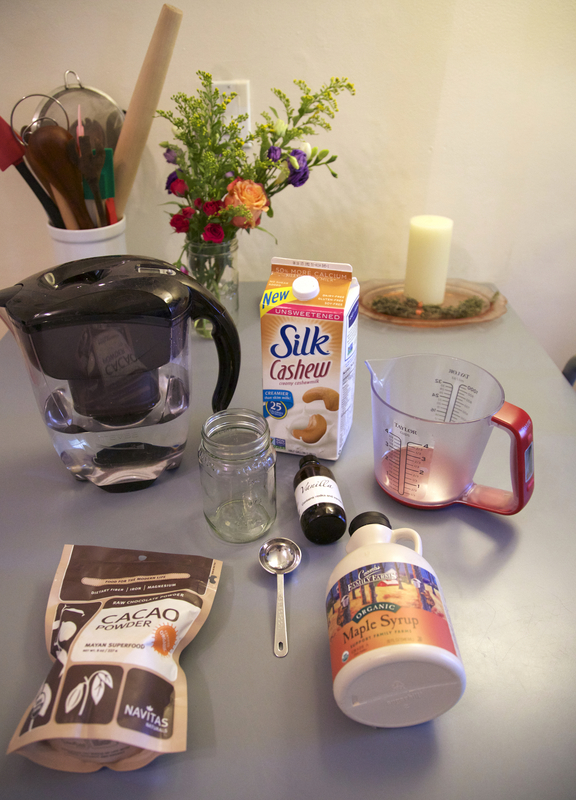 It’s easy, super chocolate-y, and hydrating. 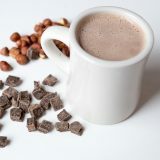 Plus, it’s got a rich enough chocolate flavor that it’s something that you’ll sip slowly, so it feels really satisfying. 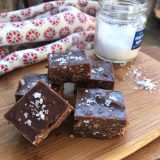 It’s also got a pretty generous portion size for its 100 calorie-serving, which also leads to a feeling of having a chocolate craving be truly satisfied. 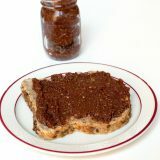 All you need for this chocolatey deliciousness are a few key ingredients: Cacao powder or unsweetened cocoa powder, milk (I typically use almond or cashew milk but you can use any unsweetened dairy alternative or skim or 1% milk), maple syrup, and vanilla extract. 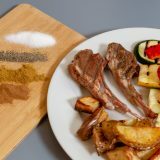 The other thing that’s great about this recipe, other than the fact that it’s so fast to whip up, is that you can also modify it to perfectly suit your current flavor craving. 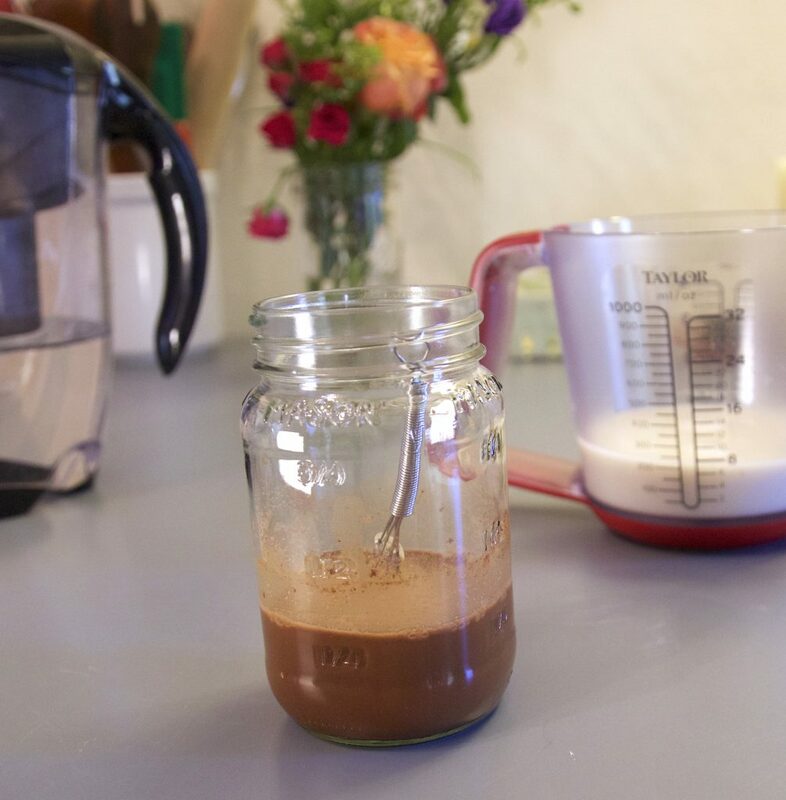 I recently added a pinch of turmeric, cinnamon, and ginger and wound up with a golden milk-cocoa-chai hybrid that was awesome. We also have a friend who adds peppermint extract to it. And here’s a golden milk recipe that uses coconut water and coconut milk, plus both fresh and powdered turmeric. I’ve also experimented with using room temperature (or iced) green tea, black tea, or matè in place of the water and all worked out really well. 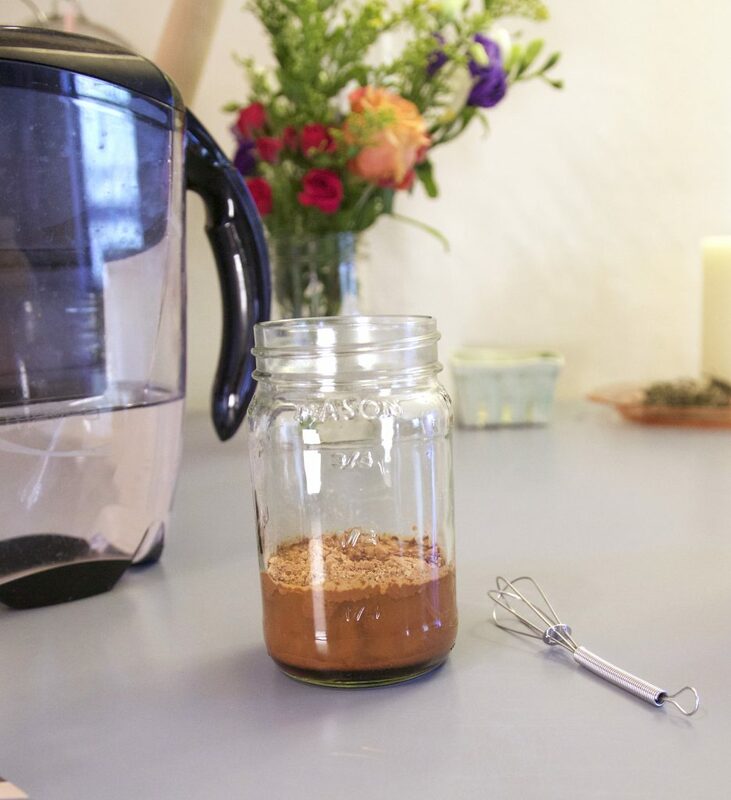 Once you’ve got all the ingredients gathered, it’s just a matter of whisking the cocoa, maple syrup, and vanilla until it’s all blended, which will take a minute of solid whisking to get it uniform (don’t give up!). 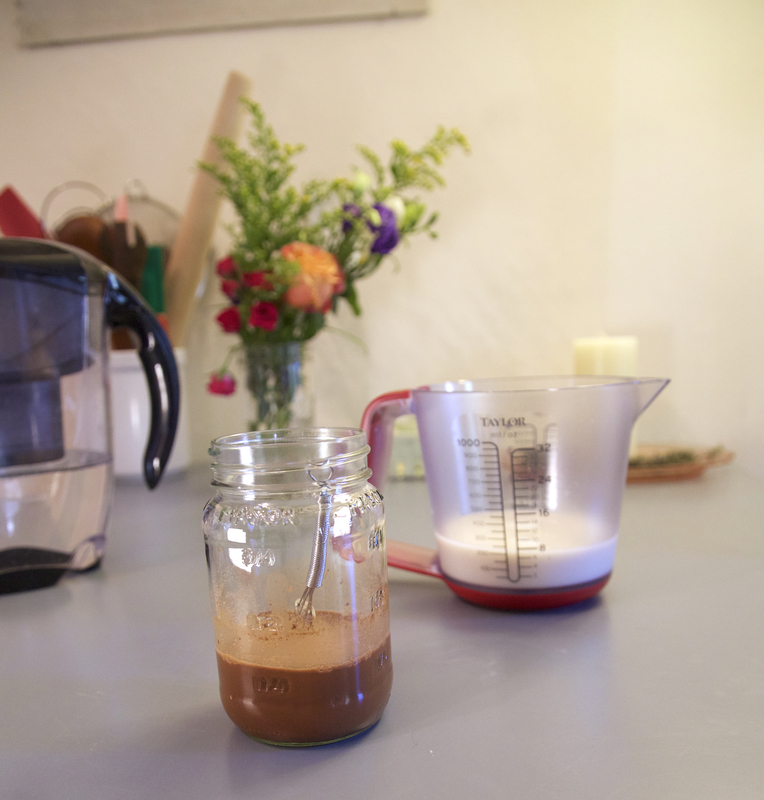 Or, if you’d prefer you can give it a quick whirl in a blender to do the mixing. 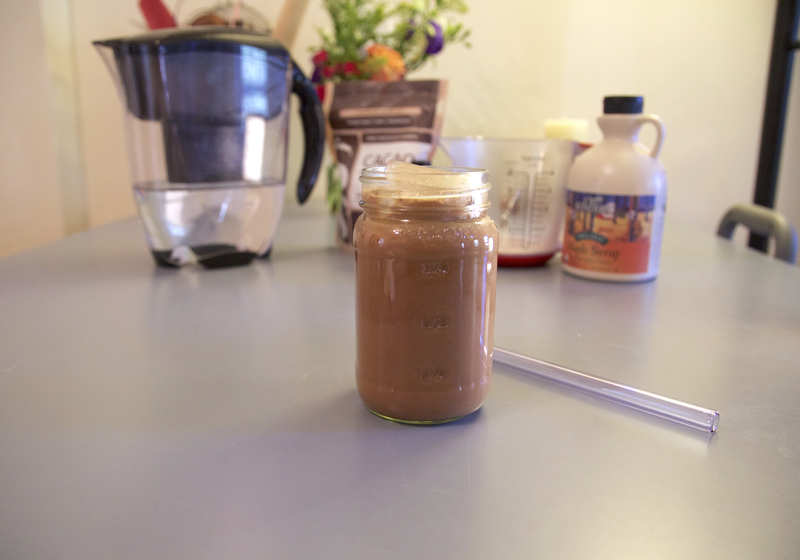 Pour the water into a glass or jar and add the cacao/cocoa powder, maple syrup, and vanilla extract. 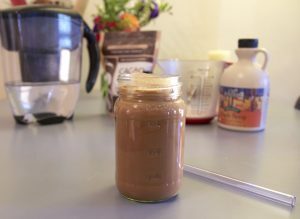 Whisk or stir with a fork until all of the cacao/cocoa powder is mixed thoroughly into the liquid and the drink is smooth. 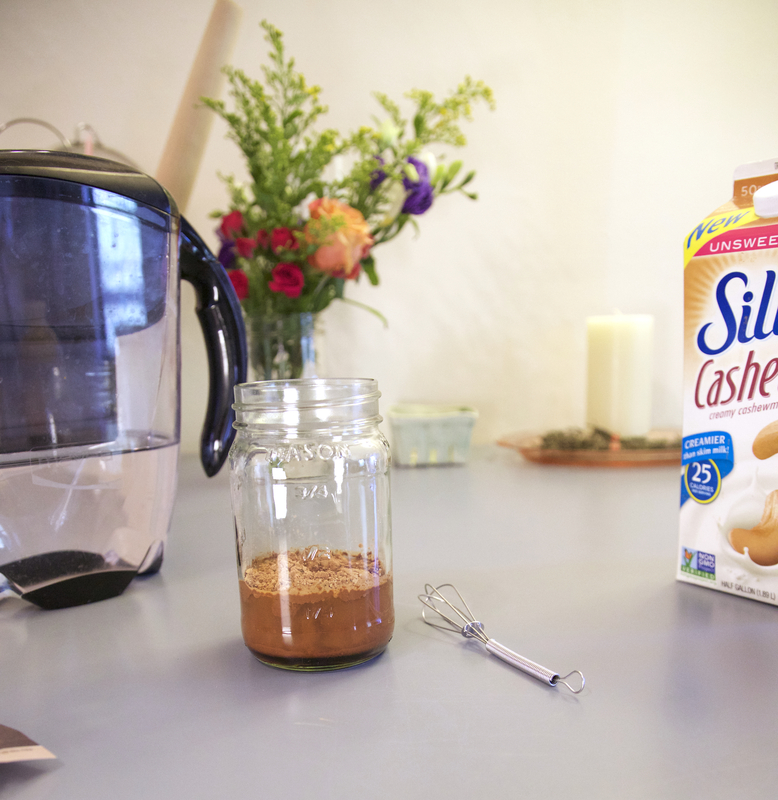 This will take about 1 minute — don’t give up stirring, you will eventually get a totally smooth product. 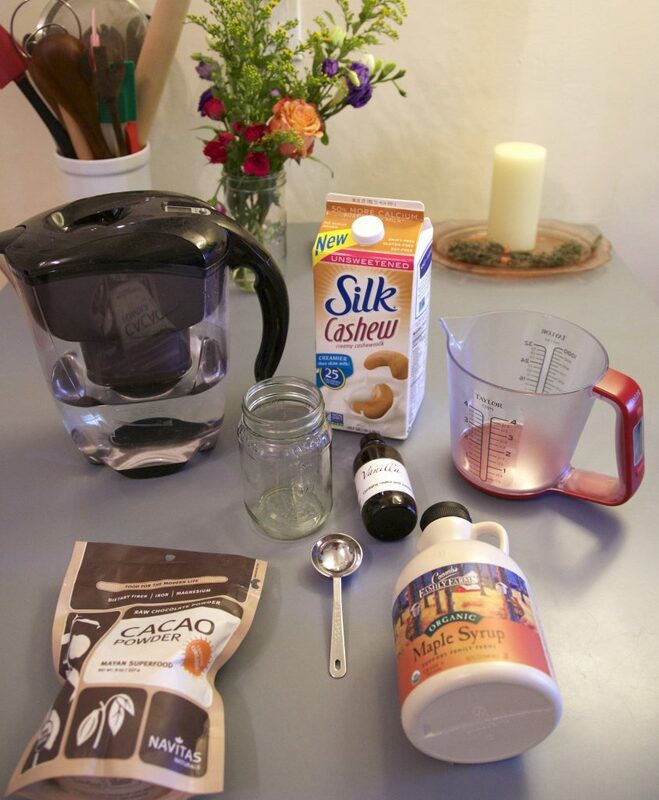 Pour in the almond milk and stir to mix. Add a handful of ice and a straw and enjoy. It’s the flavors of hot cocoa but in an iced version!